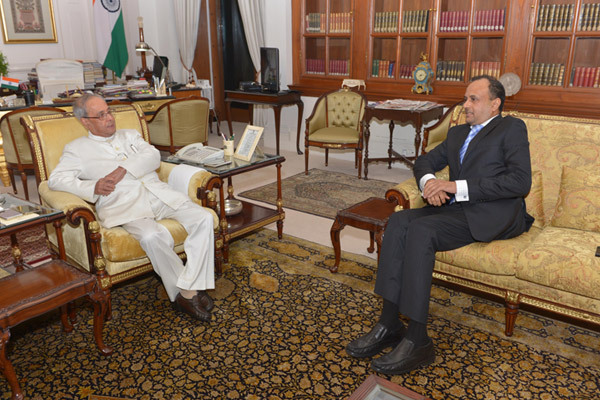 Ambassador Anurag Srivastava joined the Indian Foreign Service in 1999. Before his present appointment, he headed the Finance Division of Ministry of External Affairs which is tasked to administer the Ministry’s annual budget of about USD 2 billion. As more than half of this budget is directed towards supporting India’s development partnership objectives all over the world, he was responsible for not only managing financial flows to these projects, but also for their monitoring and oversight. Ambassador Srivastava has also headed the Political Wing at the Indian High Commission in Colombo, where along with other responsibilities in terms of managing the political dimension of a close bilateral relationship, he was closely involved in formulation and implementation of development assistance projects in the areas of housing, health, education and livelihoods. Ambassador Srivastava has earlier served at the Permanent Mission of India to the United Nations in Geneva where he dealt with work related to human rights, refugee issues and trade policy. He has held different positions in the Foreign Office in New Delhi, including in the Pakistan-Afghanistan-Iran Division and in the Official Spokesperson’s Office. Ambassador Srivastava obtained degrees in engineering and business management followed by a brief stint in the corporate sector before joining the Foreign Service. He also has a Postgraduate Diploma in Diplomatic Studies from the University of Oxford, UK. He speaks French in addition to English and Hindi. He is married to Meghna and they have one son.